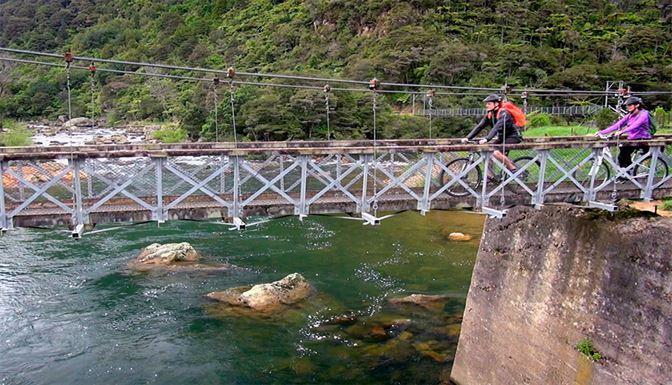 On the west coast of the peninsula you'll find the historic towns of Thames and Coromandel, with more remote settlements and rugged coastline the further north you go. The best coastal scenery and beaches are found on the eastern side of the peninsula, and consequently also attracts most visitors. 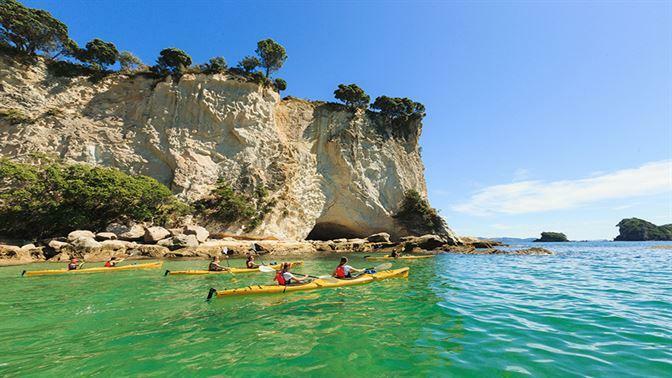 Beaches are not the only main attraction in the Coromandel. Its interior is rugged and densely forested, where rivers force their way through gorges and pour down steep cliffs to the sea. The Coromandel Forest Park stretches almost the entire length of the peninsula and provides ample hiking, camping and fishing opportunities. The Coromandel also has a rich history, in particular in mining, with the goldrush in the eighteen hundreds, but Kauri logging was also big business for around 100 years. But it is also the place where Captain James Cook anchored at Cooks Beach in 1769. 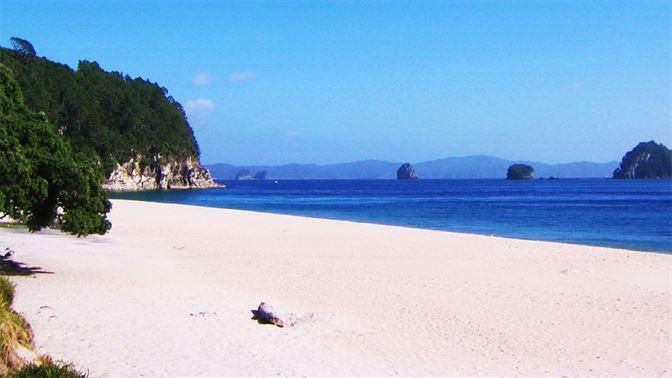 Camp at one of the sublime DOC campgrounds at the northern tip of the peninsula and get off the beaten track. 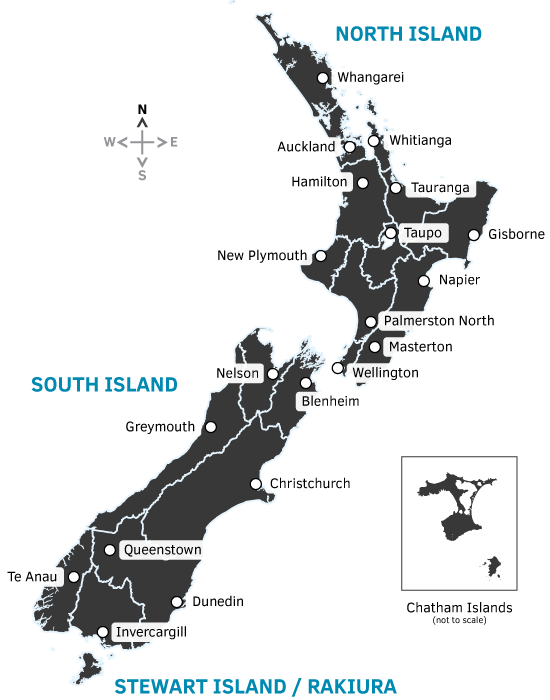 These include Port Jackson, Stony Bay and Waikawau Bay. Hike up to the Pinnacles in the Kauaeranga Valley for a real Jurassic Park feeling. New Chum's Beach, one of the top 10 beaches in the world according to Lonely Planet. And we don't argue with that! 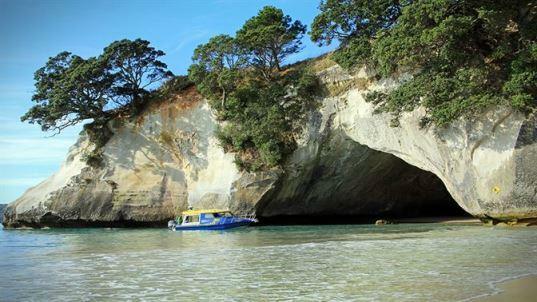 Drive along the Pohutukawa Coastline on the western side of the peninsula. Enjoy an incredible seafood platter in Whitianga, or if you happen to be there during he weekend, visit the local market. Karangahake Historic Walkway, giving access to the remains of the mining era. Driving Creek Railway, great for families with children. The famous hot spots Cathedral Cove and Hot Water Beach. The 309 Road between Coromandel Town and Whitianga with its many attractions including the Waterworks amusement park.